Have you ever wondered what it looks like inside this crazed/manic brain of mine? No, eh? And I thought my refrigerator was covered! You win. I love the turkey and the boys artwork. Also, the coke bottles are so cute. You are taking great advantage of the space to display things you love. Yay, Coke magnets! What am I saying? Yay, Coke! Yay! Yay! Have a Coke and a smile! That’s awesome! 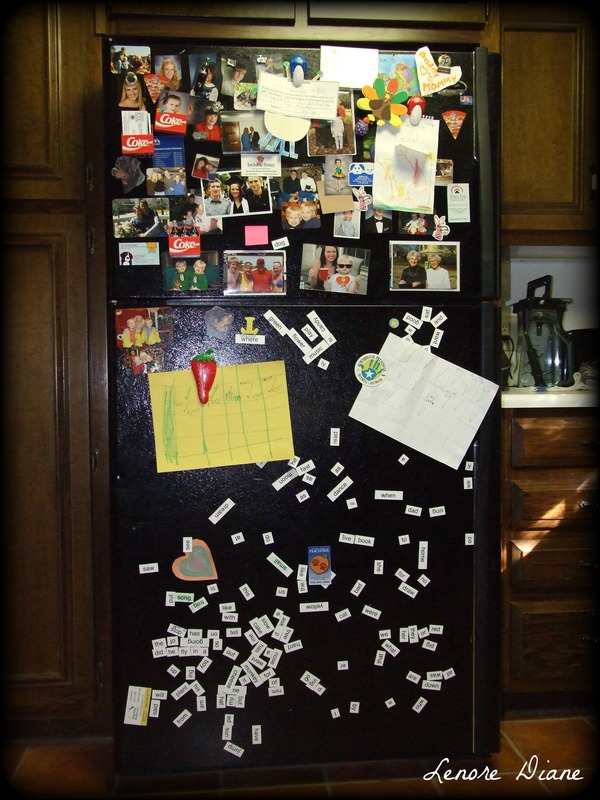 I love fridge displays, and magnetic poetry! I noticed ‘dog’ made it to the top of the fridge – speaking of, I’m off to Tweet to tell people to vote in the contest! I noticed ‘dog’, too, Jules. It was not planned, I assure you. I didn’t notice it until I posted the picture. Funny. We are a dog family – 100%. Thank you for tweeting about the contest! Mothers always find a way to showcase their kids’ artwork. Love it. That artwork is so old, too, Judith. I feel badly that I’m not keep up with their improvements. It is a cluttered mess, eh? So many of the pictures are years old. And the artwork was done while the kids were in daycare. I’m not too swift when it comes to updating things. (smile) I like the memories, though. I need to send you a picture of me. You should. You’ll go right on the fridge. Dooooo it!! I will, I will, Bella. Thank you for visiting. I miss seeing your photos in the blogosphere. I hope all is well with you. Do you sit on the floor and put your thoughts into refrigerator sentences? Awesome evidence of a busy life, well lived. 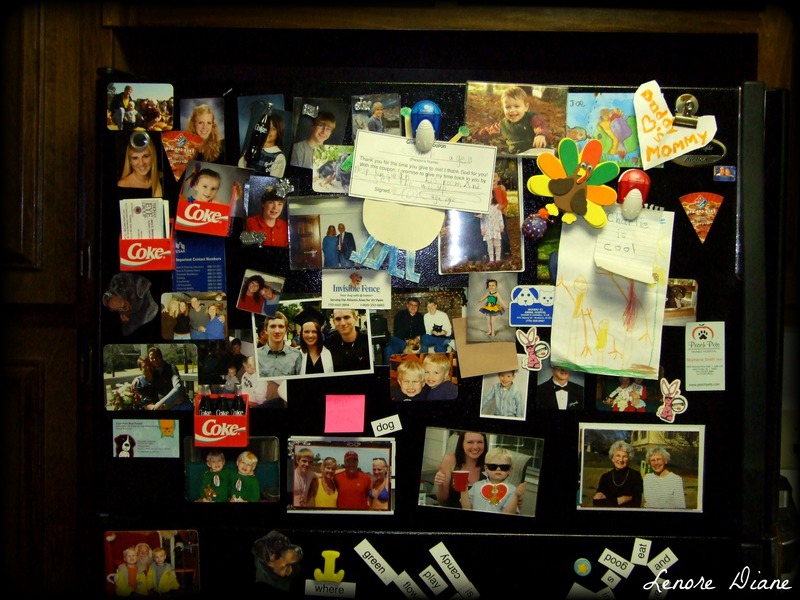 Now THAT’S how to decorate a refrigerator! Well, the clutter might not be for everyone. In our house, though – clutter works.